Nothing about these photos is technically correct. I shot directly into streaming midday sun which produced shadows. I forced my aperture to let in more light thus creating an overexposed effect. And I was actually shooed off this private property in mid stream, making a few photos less than crisp. But you know what? I love them all, imperfections and all. Oft times rules are there to be broken. That's what is so amazing about photography- you can create something beautiful out of almost anything. You have to remember, it's February folks! And yes, those are magnolia trees. I could certainly get used to this kind of winter. If only it didn't bring with it new and unpleasant allergens. I'm actually under the weather today with some sort of sinus crud. Wish me luck on a speedy recovery. Oh, don't forget that you are welcome to join the Poetic Winter Challenge if you haven't already. It's not too late to join in Week 1 "solitude" here. Week 2 will begin Friday and the prompt is "warmth". I'm loving all the beautiful entries that are pouring in. 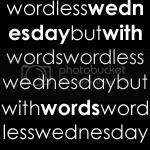 Thanks so much for stopping by for Wordless Wednesday. Remember that Not So Wordless or Wordful posts are also always welcome here as well. If you have a photo to share, just link it below. So did someone shoo you out of my backyard?? 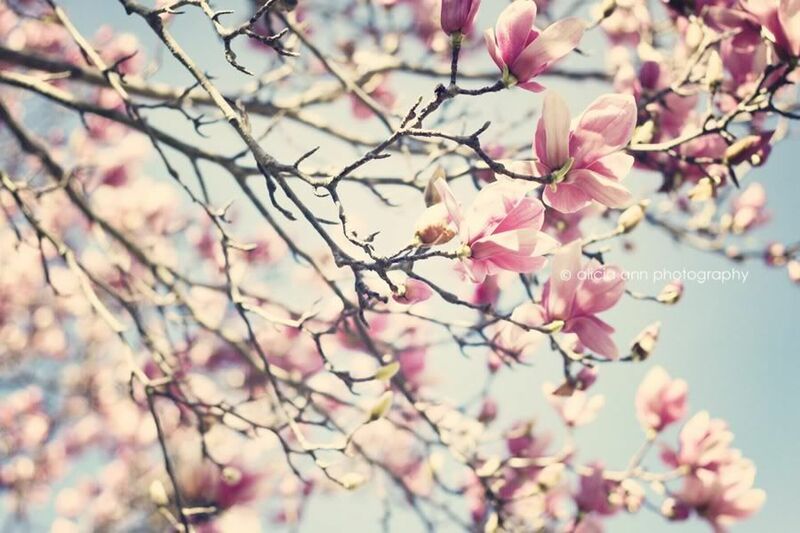 Bc this is exactly what my Japanese Magnolia looks like right now! I captured it's first bloom for the solitude challenge..thinking it wouldn't go into to full bloom yet and now...there are pink petals EVERYWHERE! Your shots are lovely and sometimes light is light and it's beautiful! I really like the 2nd one! oh mercy those pictures almost make me weep... I am stuck smack dab in the middle of freezing cold winter still but I grew up in a place where similar pink trees were my most favourite things EVER. They are glorious. Thank-you for sharing them with me!! WOW! These are sooo gorgeous. Yes, I am all the time having sinus stuff. Argh. You always have such beautiful pictures, I'm jealous! They're like a watercolor. Love it! 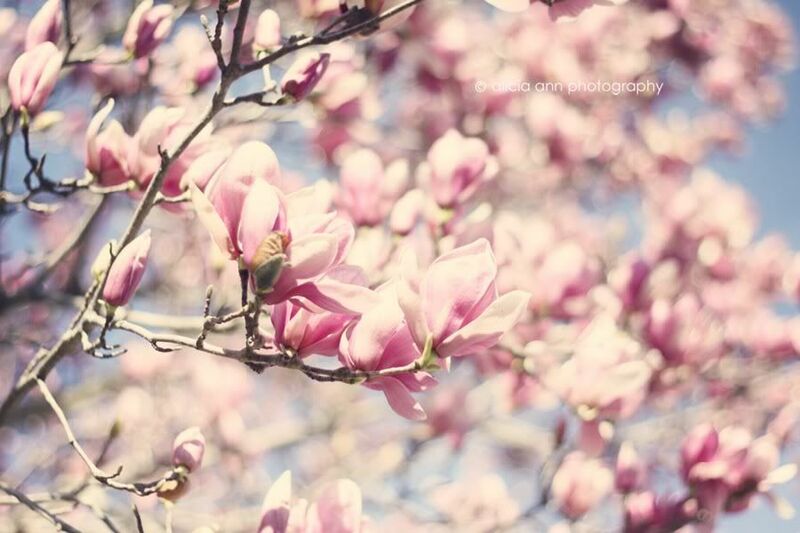 The magnolia trees are beautiful! I'm so afraid mine is going to not bloom with all the strange weather this winter. Hope you sinuses are better soon! Beautiful! Hard to believe these look so nice! Sinus crud is no fun. Hope you get to feeling better soon! Your photos make me feel like SPring is almost here! wow, magnolia blooms in February, unheard of, but they sure are beautiful!! Hope your crud is gone soon!! Those are really beautiful. Is it spring already? Oh wait, did we ever have winter? Very beautiful and inspiring photos! Beautiful! Can't believe someone shooed you away, lol. Bummer! I actually like the absence of extreme color. Sometimes over exposed photos make for pretty photos. thanks for the linky and thanks for linking up! How jealous am I?!? You'll see that my "Foggy Morning" post is far from blooming magnolias! Thank you for sharing your gorgeous shots and for hosting! I love the pinks against the blue sky! I pinned this because those are my favorite colors together and I am looking to paint my desk LOL. thanks for the inspiration! 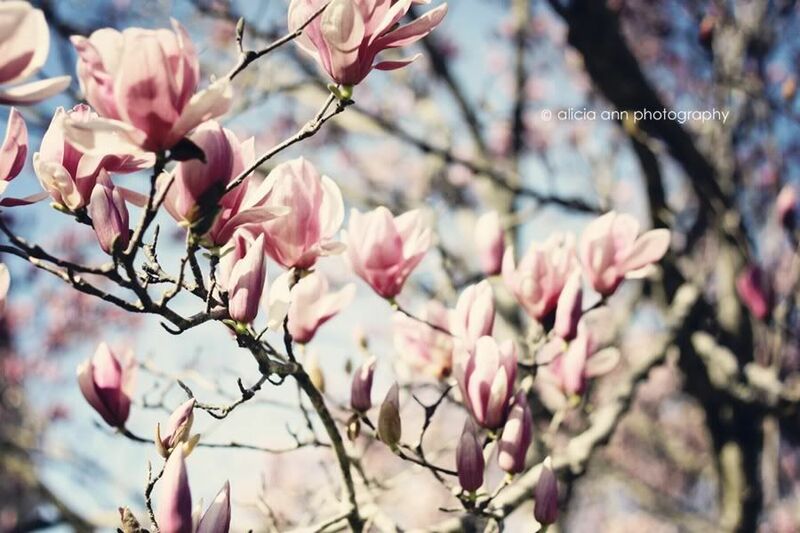 I love magnolia trees!!! We have 3 dwarf ones. Nothing like what can grow in the south! I met someone here that named her daughter Nolia off of Magnolia. It kind of grew on me because I love the trees and flowers. Oh my. SO beautiful. Technically incorrect or not. 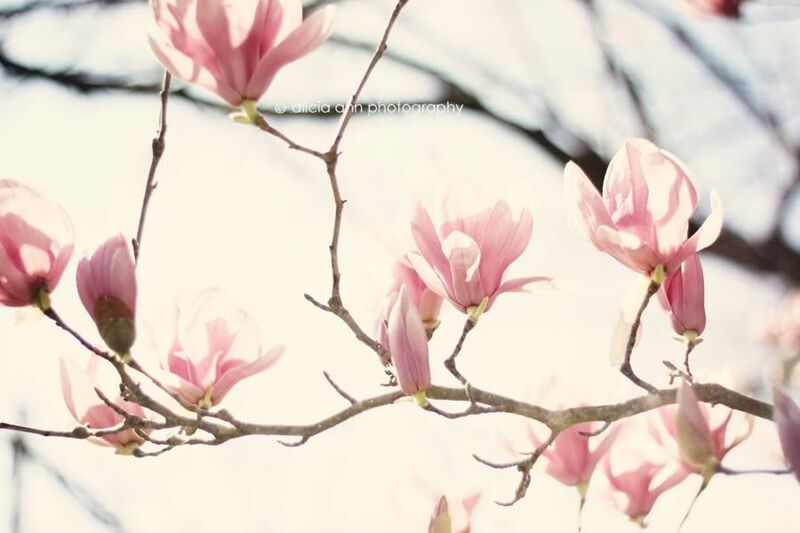 I love love love Magnolia trees. Love your pictures. Oh, those are so gorgeous! Wow!!! I love the softness of these shots. I want to cover my walls in them ;) I often overexpose flower shots. Sometimes I like them better that way. 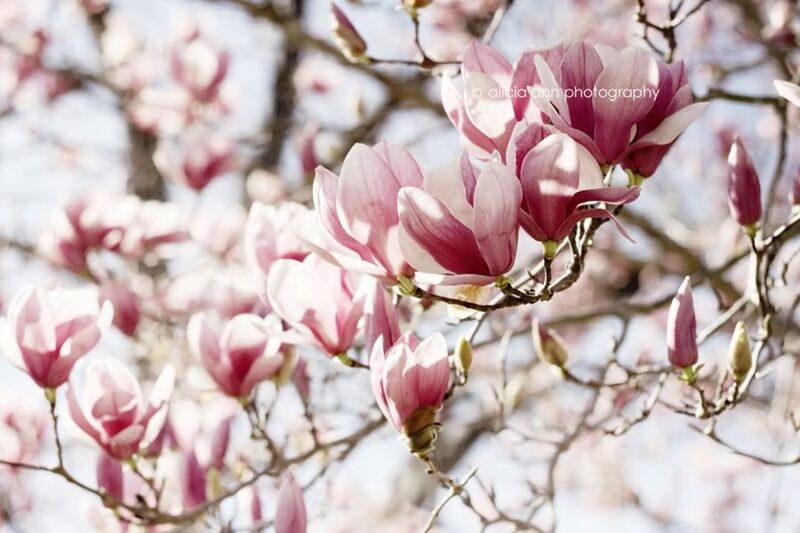 We won't see our first flowers (crocuses) until next month, so thanks for sharing your beautiful pink magnolias! I would have never known there were imperfections, they all look beautiful and perfect! These are gorgeous! Love the soft colors. Well, color in general! :) It is so brown and bland here right now. Hope you are feeling better soon! I love the magnolias. Makes me nostalgic for spring! Gorgeous! The extra light you let in gives the photos a beautiful warm, soft feel. Love them! Absolutely stunning. 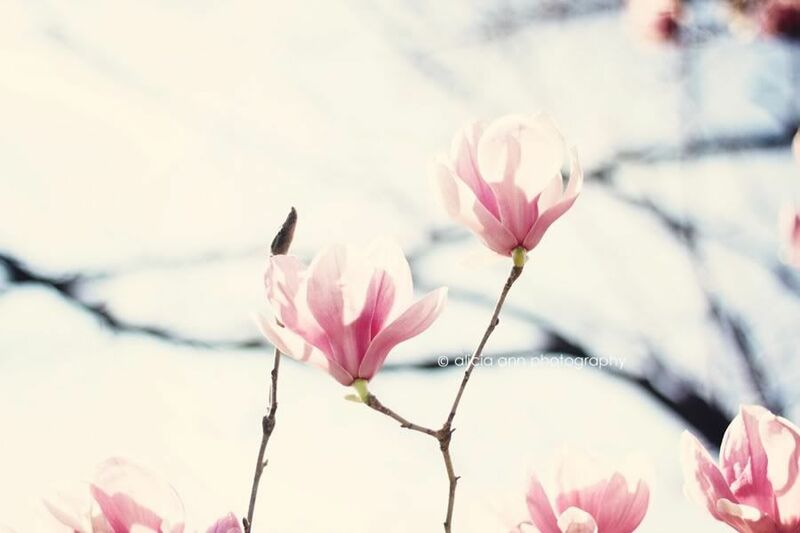 Love magnolias and your take on them. That's the things about photography sometimes; you just have to capture the moment while, when and where you can. I've lost a few too many moments waiting and umming and ahing. Love the colours! So pretty...again! Beautiful pictures and we southerners say WELCOME TO NO FOUR FEET OF SNOW!!!! We know you miss stuff about the Iowa beauty in winter but I see you have been won over (but shooed off the property, bummer). Thanks for letting us know about the "imperfection" - it's a relief to know you feel that way sometimes too and I think they rock! I knew that would happen... four links all appearing at once for me. Sorry Alicia, can you remove the extras? Is it warming up where you are already??? Lish, these photos are so beautiful. It looks like spring. Beautiful photos. Hope you feel better too. I can not wait to start seeing blooms here. I love them too! I think they're beautiful! this is the second blog i've visited with flowers as the WW theme. it really does get me excited for spring. i love your shots, and the little imperfections make them all the more beautiful. These are so beautiful! Can't wait until spring so I can get some blooming flower pics! Seriously- that pink is so pretty Lish!!!! I am craving something other than brown- I need to get in the car & drive a few hours to find something pretty to capture! Beautiful, fresh blossoms! I can almost smell them and imagine the warmer weather. It's been an interesting year...the whole winter here has felt more like spring...and I can't complain. The pink in those Magnolia tress is just beautiful. Makes me appreciate nature so much more. Love the pink color. Beautiful. And I'm sure that this is a completely different winter compared to your last home. Truly beautiful. I pinned one of the pictures. Thanks so much for sharing them. Non technological wonders. Pretty amazing that anyone would object to snapping photos of such beautiful blossoms private property or not beauty is is to be shared. Thanks for being brave enough to overstep conventions. Beautiful pictures!! I wish we had those kinds of flowers this time of year in Illinois!! Love how these shots are a little overexposed, a very happy accident. These are gorgeous!! I can't believe you were shooed off the property! You got shooed off the property!!!!!!!!! oh someday that will happen to me too. 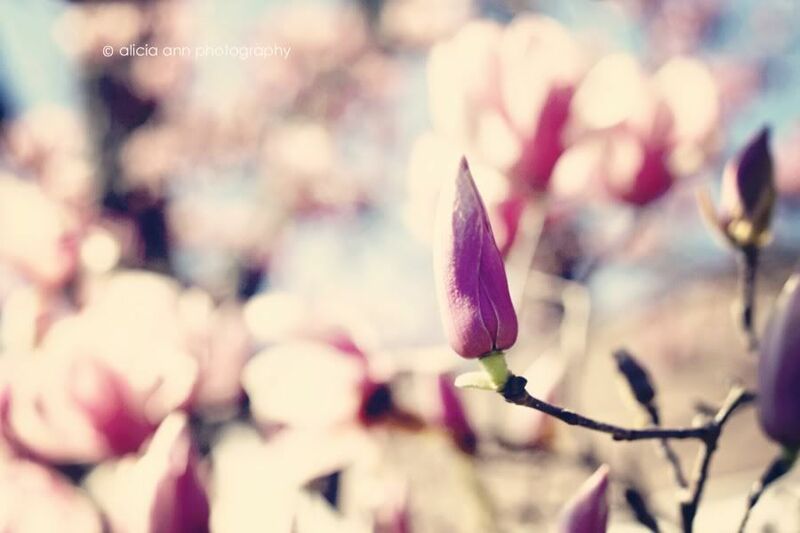 Beautiful magnolia's - it will be late April before I see any of those around here. Mine are still in bud and very reluctant to unfold! What lovely photos. Those photos are just gorgeous! I linked to you in a pinterest post that I just did!!!! They're beautiful - not despite their "imperfections" but because of them. Sometimes you do have to break the rules, and that's exactly where the artistry is able to shine through. Feel better soon, allergies are no fun at all. This is so unfair, we are freezing here and we are covered with tons of snow and you shot magnolias. I'm SO envy, do you hear me SOOOOO envy:) I love your pictures, magnolias are one of my favorites even they are really rare here (too cold).